Toyota Vitz Pearl White 2013 model, 2015-6 registered, A gift. - to start with the car is of 5 grade which is very rare, auction sheet is available, verifiable and will be provided on request. - on my own name with smart card. - toke paid till 2019. - soundless engine with amazing fuel average. - selling it as I intend to have an upgrade. You'll surely love the car, Price is little negotiable. Exchange can also be considered with selective car, first preference is cash sale. 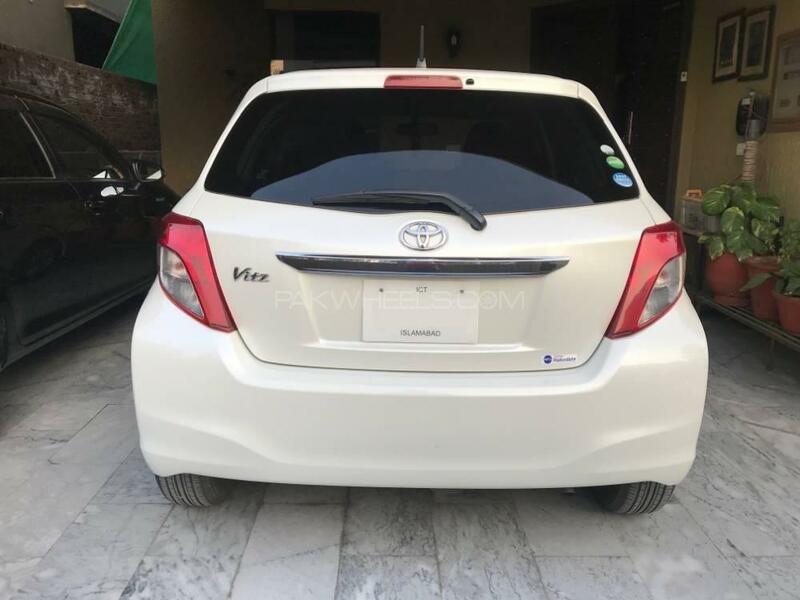 Hi, I am interested in your car "Toyota Vitz 2013" advertised on PakWheels.com. Please let me know if it's still available. Thanks.